1. Exact start date is unknown: Nobody knows the exact historical date when meditation first began but most scholars agree its at least 5000 years. As such, it goes back further than what we now acknowledge to be civilized society. Meditation was first thought to be practiced by hunter gatherers, as evidenced by archaeological findings from the era. First discovering the benefits of meditation, these so called primitive people passed their knowledge down from generation to generation, setting the groundwork for the history of meditation. 2. The Buddha changed everything: The history of meditation has progressed to no end since then, largely as a result of the historic icon Buddha. The Buddha’s teachings have been around since 500BC, forever changing the historical trajectory of meditation. In fact, the teachings of the Buddha evolved meditation into what we know it today. 3. Stayed mainly in Asia for thousands of years: Despite the early historic origins and development of meditation via Buddhism, it remained confined almost exclusively within Asia until the middle of the 20th Century. Why? Well, travel was restricted greatly. Getting to the Far East would usually take weeks and cost more than most people earned in a lifetime in the 1800s and early 1900s. Commercial transport and the relaxation of societal values allowed people to explore the world and its limitless possibilities, allowing meditation to finally cross oceans to enlighten the West. 4. Finally crossed oceans, meditation is now popular world-wide: The Western history of meditation began in the 1960s and 1970s, largely with the hippies whose open minds got to experience the countless benefits of meditation firsthand. 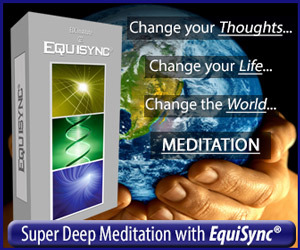 Since then, meditation has continued to progress, coming into its own, being used by millions of people all around the world for a number of purposes, including as a medically prescribed all natural yet highly powerful remedy & preventative measure, and as an overall mental and physical wellness tool. One thing is for sure, meditation’s history will continue for another 5000 years!